It's hard to believe that the original Home Alone is getting ready to turn 25! Wow...that makes me feel really old. I remember watching it for the first time when I was 12, my husband was 15 and this movie made an impression on him because he saw it multiple times in the theater. It's a holiday tradition, it's a movie that when you want to feel that warmth of Christmas at anytime in the year you watch and enjoy. It went onto spawn 4 more sequels! 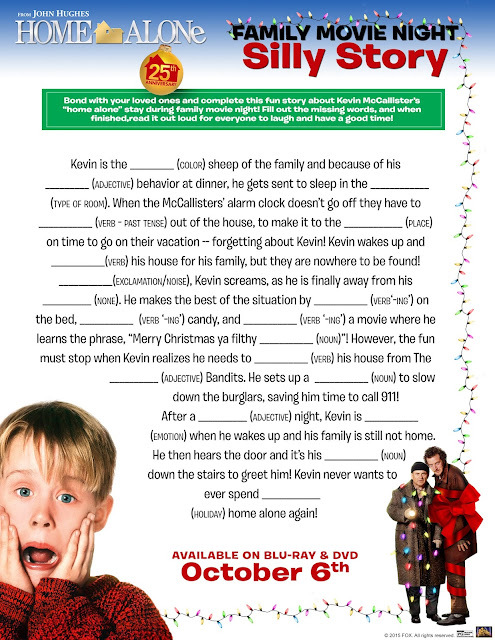 The Home Alone franchise is a part of the lexicon of Christmas, it's a movie the whole family can enjoy and even after a quarter century of being a part of our lives it doesn't ever get old. The gags, the jokes and the mayhem are all things we look forward to watching. 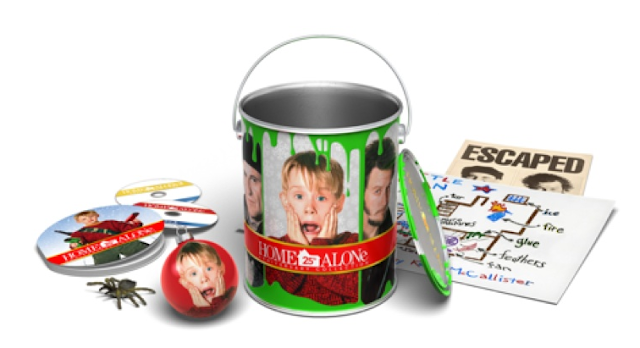 And now with the Home Alone Anniversary Collection in a paint can (nice touch!) you can celebrate Christmas whenever you want. Included in the set are all the movies Home Alone and Home Alone 2 are on Blu Ray, Home Alone 3-5 are on DVD. 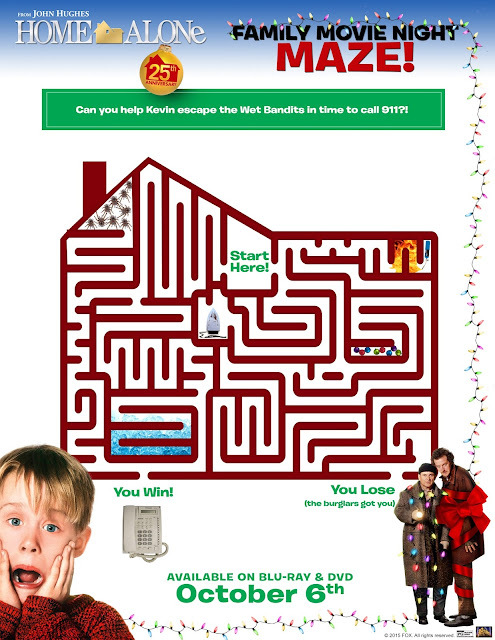 Along with the movies you'll also get more than 2 hours in special features, the limited edition paint can package, a cool ornament, the Wet Bandit's wanted poster, Kevin's battle plan and a spider that will still make Daniel Stern scream like a little girl. So join Kevin, the rest of the McCallister clan and we can't forget about Marv and Harry this Christmas season for some hi-jinx and hilarity in a movie that might be 25 years old, but is timeless to us. Get ready to ring in the holiday season as Twentieth Century Fox Home Entertainment celebrates the 25th anniversary of the biggest live-action comedy of all time with HOME ALONE: ULTIMATE COLLECTOR’S EDITION arriving on Blu-ray and DVD October 6.This must have gift set features all five films packaged together for the first time in a collectible paint can full of limited edition movie memorabilia that will keep the whole family laughing including a McCallister Christmas ornament, Kevin’s battle plan for the Wet Bandits, his tarantula and a wanted poster of the thieves – Harry (Joe Pesci) and Marv (Daniel Stern) – and more. Additionally, a gift set featuring HOME ALONE and HOME ALONE 2: LOST IN NEW YORK will be available exclusively at Target and features both films on Blu-ray along with a warm and wearable reproduction of Kevin’s famous winter knit hat from the films. The generous folks at Fox are giving one of Susan’s Disney Family readers a chance to win , The Home Alone: Ultimate Collector’s Edition. Would you like to win? Please let me know what your favorite Home Alone scene is and why? There are also other ways to enter please enter below. You can purchase The Home Alone: Ultimate Collectors Edition in stores or online. This was filmed where I live so the favorite part was when he slides across the ice skating area near the gazebo. 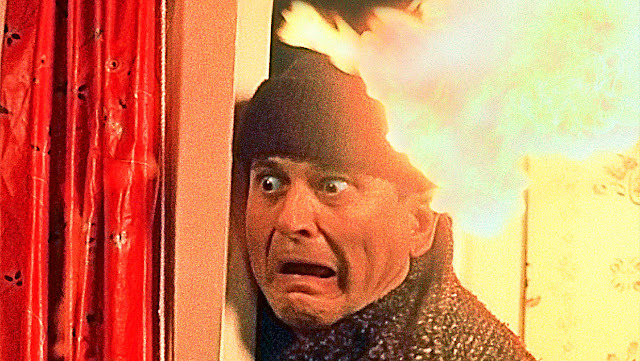 I like the Home Alone scene in the first movie where the burglar gets his hair burned off by a blow torch and he has to run outside and cool his head off in the snow and his head sizzles from getting burned. I think it is so funny!! I like when he has the old gangster movie on and everyone thinks that they are being shot at. That just cracks me up. My favorite is when the bad guys are going through his traps! Hilarious! I love the scene with the hot door handle - very iconic. I like the scene with the paint cans. It makes me laugh every time I see it. I love the paint can scene as well. It's just really funny. The gangster movie scene is my favorite scene, because it is the funniest. I like the scene where Kevin plays the movie really loud on the TV, and the robbers think a man is shooting at them. I like the pizza delivery scene. It makes me laugh every single time! I thought it was funny when Kevin kept knocking the bad guys down the stairs. My kids always laughed when Kevin, put is hands on his face and screams. They liked to imitate that. My favorite scene is when the bad guys are slipping on the ice. 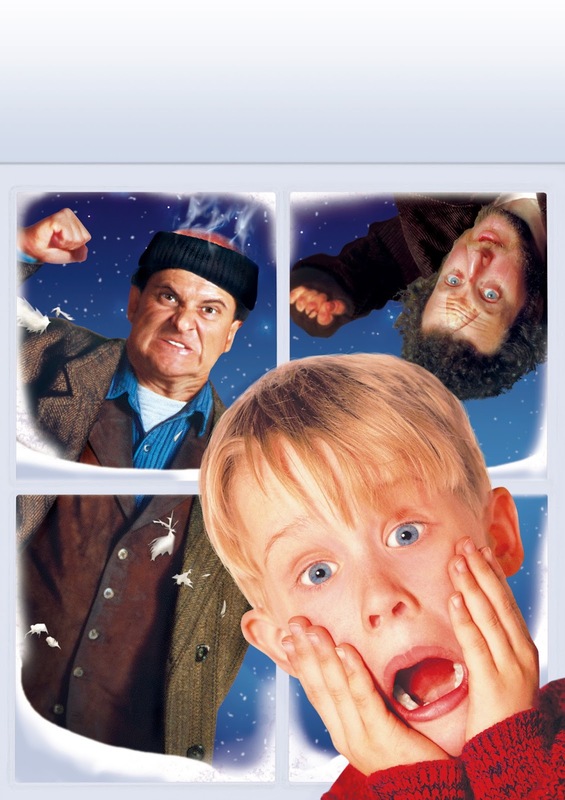 I love the first Home Alone the best. We love the part when he orders pizza and when he sets the traps in the house to stop the robbers. My favorite was with the paint cans because it was so funny!! My favorite scene is the paint can scene. My kids love when they are slipping on marbles and I love when he is repeating the lines from that movie. Thank you so much for the giveaway! Home Alone is a Christmas favorite in our house. 1 and 2 that is..the third one we can take or leave. Hehe. Thanks again! when the bad guys head catches on fire and he puts it in the toilet to get the fire down and it ends up exploding instead ! My favorite scene was when Kevin kept knocking the bad guys down the stairs. I love when his mother arrives home and he sees her. it is just so heartwarming and all about the holiday spirit! I saw the first movie when it first came out in the theaters and it was with my aunt - just such a good memory.